RUSH: This is Jordan. This is a young lady, 15 years old, in Port Republic, Virginia. Hi. It’s great to have you here on the program today. CALLER: Hi, Mr. Limbaugh. It’s good to be here. CALLER: Hey, I had a question because my dad comes home every single day and talks about the fact that you say global warming is false, and, if it weren’t for him telling me that it’s false, I would have always believed it’s true. Why is global warming false? RUSH: If your dad had not told you that he thinks it’s false, you would have believed it? RUSH: You know, the best thing I can do for you? I’m gonna answer your question here, but I’m gonna make you a complimentary subscriber to my website, Rush 24/7. RUSH: So when we finish here, hang on, and what we’re going to do is get you a user name and password. You’ll set it up yourself, but it will be good, complimentary for a year. The reason is, everything I have ever said about global warming you can find on that website, including links to stories that appeared on the website I have used in reporting it. So it’s not just gonna be my opinion. There’s gonna be backup. RUSH: You’re also gonna be able to see the stories from the advocates of global warming that I try to defeat and destroy. You’re gonna see both sides presented. You’ll have to use the search feature. If you just search “climate change” or “global warming,” an encyclopedic amount of information will reveal itself. Now, to answer your question briefly, I believe that the climate changes. To believe that it doesn’t would be silly. We’ve had ice ages. We’ve had periods of time where the earth has been insufferably hot, uninhabitably so. What I disagree with is that man is responsible for it. The global warming or climate change movement accepts something… I’ll see if I can explain this to you. If you look at the timeline of humanity… Well, not humanity. RUSH: — are trying to tell us that the climate conditions at this moment are the norm and provide the baseline from which to judge whether we’re getting cooler or warmer. We don’t know what the norm is. The earth is too old. We don’t know if the glacial ages were the norm and we’re living in an unreasonably warm period of millennia, thousands of years. We don’t know if when it was insufferably hot was the norm. But because the climate change movement is totally political — it isn’t rooted in science at all — the climate change stories that you hear/see in your museum are based on one thing: computer models predicting the future 30, 50, and 100 years from now. RUSH: There is no evidence. They can’t even point to any facts. They don’t even try. RUSH: They have nothing but computer models that are predicting. And note that the predictions of disaster and calamity are all 30, 40, 50 years from now when very few of us already alive to know whether they were right or wrong. RUSH: It is a scare tactic that is designed to promote bigger government. Their claims as to what’s causing the warming? Do you realize it’s the United States that’s largely responsible? Why is that? They’re blaming progress. They’re blaming advanced lifestyles, improved standards of living. They’re blaming fossil fuels — oil, gasoline — which, if it weren’t for those things, we would be living in the Stone Age. We wouldn’t be able to have the economy we have today. We wouldn’t have the liberty, the freedom. We wouldn’t have the productivity. We wouldn’t have air-conditioning. We wouldn’t have the ability to heat our homes. I mean, it’s all absurd. It really is. The whole thing is totally absurd. 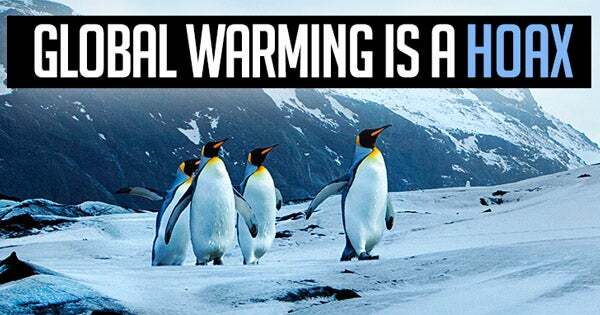 RUSH: — because it is contributing to global warming. The manufacturing of it and the use of it is clogging our waste systems and we’d be better off using leaves or other such things. It’s absurd! The stuff is just totally absurd. RUSH: But here’s what they’ve done. It’s really clever how they’ve done it, Jordan, because, you know, everybody — you, me, your mom and dad, everybody — wants their life to mean something. You don’t want to just be sitting here existing. You want your life to matter. So these people come along and they tell you that, through no fault of your own, you are helping destroy the planet because you’re living with life’s current progress. You’re driving big, gas-guzzling cars lake SUVs. You’re flying around on airplanes too much. There’s too much waste. But then they give you a way of redeeming your guilt. RUSH: What could be more meaningful than that? This is how they rope young people in, into thinking they’re doing something that matters. But it’s a premise that they cannot prove. It’s all computer model predictions. Do you believe in God? RUSH: I do too. And I’ll tell you, to be quite honest with you… You know, everybody has a foundation and a basis for believing things that they believe. I believe in God. I believe God created the earth. I believe God created man with the unique ability — of all animals and creations to think and to reason. It is man, the only living thing on earth which is concerned with its environment is human beings. I just refuse to believe — it just doesn’t makes sense to me — that a loving guide like this would create human beings whose quest is to improve their standard of living for themselves and their families to make life more productive, to make it more convenient, to live longer, to live healthier — to have all of that end up destroying the planet? I don’t think we have that power, Jordan. RUSH: At one time, they tried to tell us that everybody in southern California barbecuing at five in the afternoon was causing global warming because of all the charcoal. RUSH: It’s absurd stuff! But they appeal to people emotionally. They tell ’em, “You have destroyed the planet. Your parents have destroyed the planet.” They have cartoon shows on Saturday morning called Captain Planet designed to make you think that evil corporations are polluting and destroying and they don’t care about clean water, clean air. They rope young people in on this basis and they grow up and then they get furthered in their education in school, junior high, middle class, high school, college, all that, and it’s an ongoing battle. You sound like in you’re of your own mind, you may be doubtful of this, even despite your dad. CALLER: (chuckles) I was already doubtful of that because I do believe that God gave us the ability to grow as a country and as families. So I don’t believe he would give us the tools to grow if he didn’t want us to use them. RUSH: Well, yeah. Exactly. The natural state of the average, normal human being is to improve living circumstances. It’s to have life last as long as it can, to be as happy as it can be lived, to be content. You know, the pursuit of happiness — life, liberty, pursuit of happiness — enshrined in the Declaration of Independence, it’s the natural quest of families to want to do better than for their kids than they had growing up. It’s a natural human thing to want to improve safety, to improve nutrition, to improve economics, to improve education. It’s those things that the climate change people say — that progress — is destroying the planet. And it doesn’t make sense to me. Let’s look at it this way. Let’s say that you are president, Jordan. It’s like 15 years from now. You’re president, and you call in your secretary of state, Ivanka Trump, and you say, “Ivanka, in 10 years I want the climate of the planet destroyed.” What would you tell her to do? RUSH: You couldn’t. There’s nothing you could do. You couldn’t do it. They’re telling us driving SUVs does it, they’re telling us flying around in jets doesn’t. They do all of these things. Their leaders fly all over the place in private jets. They fly all over; they drive gigantic SUVs. RUSH: I mean, they tried this with the ozone hole. They’ve tried any number of… You know, “The arctic ice caps are melting,” when they’re not. Have you heard the latest excuse for this? The ice in Antarctica is warming a bit, but it’s still minus-21 degrees Fahrenheit. CALLER: Yes! We just learned about that the other day. RUSH: Okay, there are aquifers. Essentially, there’s blowtorch underneath from the inside of the earth, near the earth’s core there’s the equivalent of a natural blowtorch that is warming water underneath the arctic ice cap. There are actually people telling us that man is causing that, humanity, climate change. Now, how in the world is anything we’re doing affecting what’s happening 50 miles below the earth’s surface? RUSH: I’d like to know how we’re doing it because then we could stop it, couldn’t we? RUSH: If we found out that we’re causing global warming, we could stop it. But we can’t. I wonder why. One more little bit of logic for you. They told us back in the nineties that we were headed for the hottest 15 or 20 years in the future. In the last 15/13 years, it has not warmed at all. RUSH: But they’re not interested in success. You’d think they’d be happy that the earth stopped warming for 15 years, but they’re not, they’re panicked. Does that make sense? RUSH: Okay. So you hang on. You’ve gotten a good introductory class. I tell you what else I’m gonna do. I’m gonna throw in an iPad Pro for you so you can read RushLimbaugh.com on the iPad Pro. RUSH: You’re more than welcome. You obviously are an advanced student and you’re capable of everything you’re gonna see there. RUSH: Jordan, don’t hang up so we can get all the stuff we need from you to comp you on the website and get you the iPad. ABC's 2008 Prediction: New York City Will Be Under Water from Climate Change By June 2015!